She proceeded to show me how she had stuck all her cut nails in a long row into her school diary in finger order. I’m afraid I found this more funny than tragic, and my lack of empathy at the time may have inadvertently initiated the time bomb on that teenage relationship, the final explosion being the night before my final History exam when she burst into my boarding school room, accused me of spending too much time studying, and gave me an ultimatum, “Choose!” she said, “It’s either your history books or me?” The rest is, quite poetically, ‘history’! Please don’t think me ‘nailist’. I try to keep mine short, clean, neat and occasionally painted. I even bought some nail vanish yesterday. The nails are not my point. “All (wo)men are not created equal,” says Atticus Finch in the memorable courtroom scene. I usually rejoice in the knowledge that we are all fearfully and wonderfully different. But unlike most women I know, when the Almighty was dishing out sugar and spice and all things nice, He forgot to add ‘shopping‘ to my repertoire of skills. I believe the memo might have gone out erroneously as ‘shipping‘, but more on that another time. My dear Flatmate, who I lived with for 6 years before getting married, and who not only has the shopping gene, but also works in fashion, taught me a little about myself. 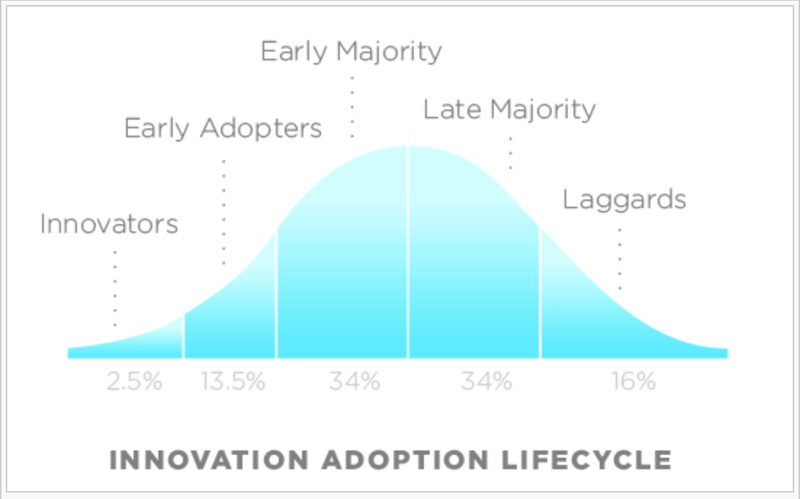 “You fall into the category we in the fashion industry call ‘laggards’, or rather the term I prefer – ‘late adopters’.” She was referring to the Rogers’ Bell Curve of innovation. Can you believe that shops actually take into consideration the various ‘categories’ of people (innovators, early adopters, majority adopters etc) when positioning their clothes on the shop floor, scheduling fashion shows, dressing window displays, timing sales and so on? The first step for the ‘late adopter’, is to look on a new fashion trend with disgust. Step two involves watching both strangers and friends adopt and showcase said fashion trend with apparent ease. Step three is the crucial turning point – our late adopter finally decides that she must have the item of clothing she once scornfully mocked. And so, late in season, she heads to the shops to finally succumb to what is still, in her own mind, a bit of a radical purchase. It is strategically and even precisely for the ‘laggard’, dear Flatmate explained, that the ‘end of range’ rack exists. Item in hand, standing in the queue to pay, Late Adopter actually feels quite brave and frankly avant garde! Perhaps I can blame my upbringing, spent mostly on a farm, in a small village and in a town where it was perfectly acceptable to go to church in shorts and flip-flops? We always had to put shoes on if we were going into town mind you. My mama, an excellent seamstress, is as close to a personal shopper as I’ve ever had. When the other girls at school were wearing a certain dress I liked, we would go to the shops together, not to buy, but to look. Having found the dress, my mama would examine the stitching, the zip and the hem. We would then proceed to the material shops to find just the right fabric, buttons, ribbons, elastic and best-fit-Buttericks-pattern to make my dress. At home, in a flurry of trying on, measuring and pinning, my mama could rustle up a dress in just a few days and certainly in time for the party that weekend. Nurture or nature, I just haven’t got the aptitude, endurance or inclination to shop. Add to this an aversion to large crowds, a dislike of mirrors and fluorescent lights, a 5 foot 1 frame, panic attacks when spending money, and an African bottom, shopping can be quite an ordeal. On Sunday, in dire need of new jeans (my trusty pair are now faded and have obviously shrink in the wash), I ventured to Westfield in Shepherds Bush. Despite my 41 years of limited experience, I made a number of rookie errors. 1. Friends don’t let friends shop alone. You need someone to help you get the item in another size while you wait, semi-naked, in that depressing change room. You also need a second opinion – that well-meaning, gentle shake of the head from a good friend, is kindness itself! 2. Avoid shopping on a Sunday at all costs – here in England at least, the mall/high street has become the national place of worship. You will spend more time in the queue for the fitting room laden with clothes, and in that agonising line to pay, than your nerves can handle. 3. Take regular breaks for coffee and food – this is an endurance test. 4. Pick the trousers you like in three different sizes before heading for the fitting room. 5. You may be a different size in every shop you enter. Try not to let this depress you … can they not regulate sizes in this country?! 6. For goodness sake, get thee to a gym on a regular basis before facing those terrible mirrors! 7. Keep your receipts and try on your new clothes at home in your own forgiving mirror after a decent cup of tea and a cooling off period. 8. Ultra stretchy, skinny jeans may not be the most sensible choice for you. 9. I recommend a pistachio ice-cream in a waffle cone for the bus trip home as a reward for surviving the shopping ordeal. 10. Warning: point number 9 invariably conflicts with point number 6. I have just dropped off a pair of jeans and a couple of other items at my local tailer for adjustment. To what cost, I’m not sure? In my world, clothes are always too long, or they fit my bottom but not my waist, and need taking in or taking out. At 5 foot 1 inches, I am not an easy fit. Oh to have my ultra-marathon-shopper, dress-maker mama here with me in London! P.s. My friend Silky and I were just this week lamenting the fact that the fashion industry doesn’t understand nor do they appreciate the challenges of the African bottom. P.p.s I knew Hubby was my kind of man when we went to Hamleys to buy gifts for my nieces. We walked in through the throngs, picked out three gifts on the first floor, paid and left within about 10 minutes. P.p.p.s. I admit that sometimes I see someone wearing something I like and would rather take it off them than undertake the laborious task of shopping for it. I once cheekily asked a friend if I could have the cardigan she was wearing and she generously wrapped it and gave it to me for my birthday – thank you Miss High Heels, you know who you are! ← When worlds collide: our fertility story without a happy ending … yet!